The Faculty of Animal Science and Veterinary Medicine, established in 1955, is one of the biggest faculties of Nong Lam University. It has 6 departments: Veterinary Clinical Sciences, Veterinary Biosciences, Infectious Diseases and Veterinary Public Health, Animal Nutrition, Animal Production and Animal Breeding. The Faculty has one Veterinary Hospital, Practice Farms and 13 laboratories in campus. It has strong relationships with companies, manufacturers and farms in animal production and veterinary. 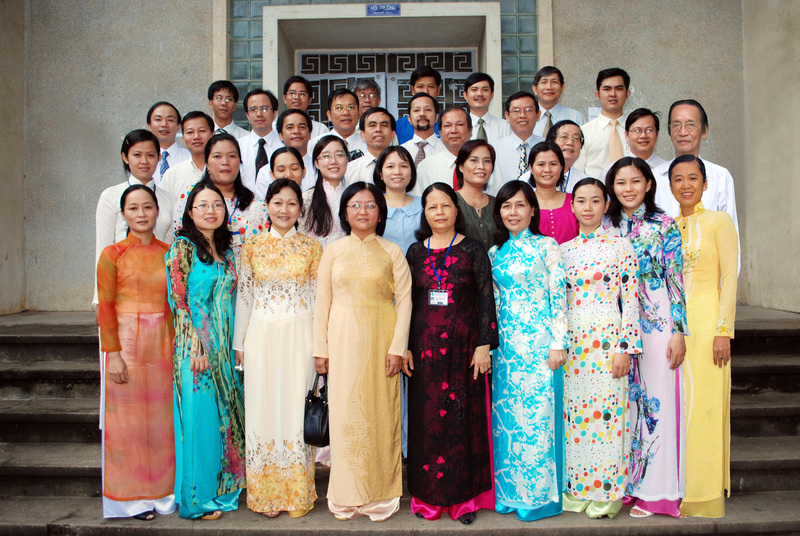 The Faculty is the main organizer of the 6th Asian Pig Veterinary Society Congress (APVS 2013). - Improvement in the indigenous livestock species, and adaptability breeds of swine, poultry and dairy cattle. - New technology on the animal production (swine, poultry, cattle, goat and high economic value animals). - The use of animal waste in fuel production; study and apply the biotechnology in intensifying livestock. - Residues of chemicals, drug, antibiotics substances in animal-origined products (meat, milk, eggs, etc). - Nutrient requirements and optimal feed formulation.